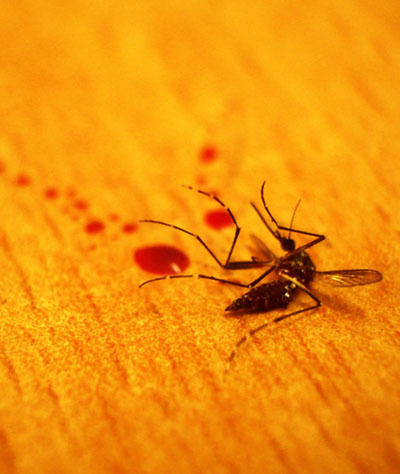 Can A Household Table Or Ceiling Fan Repel Mosquitoes? Can A Table Or Ceiling Fan Repel Mosquitoes? A lot of people like to use a household table fan to repel or even kill mosquitoes indoors. However, the question is if using a fan to kill mosquitoes can be considered an effective indoor anti-mosquito solution. 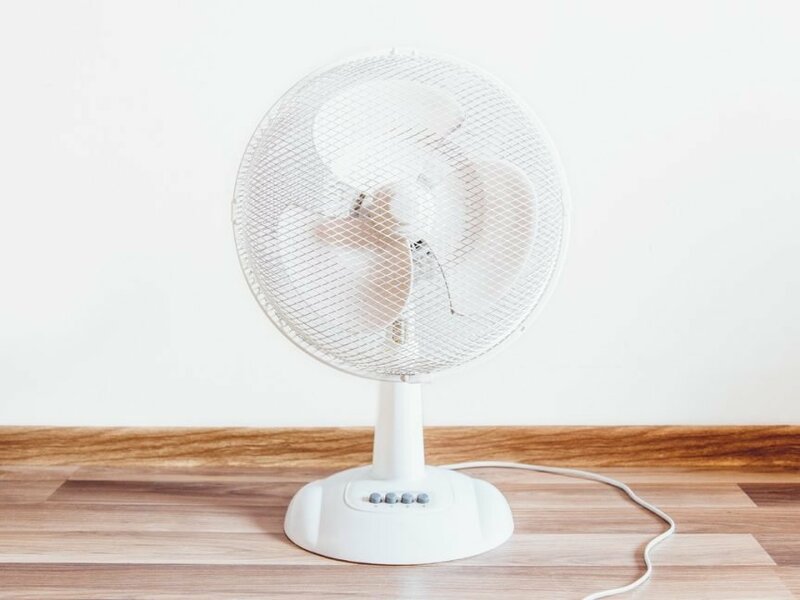 I’ve put the theory to the test, while simultaneously finding some really cool things to do with the fans you tend to use to keep cool during a warm summer day. Here is what I learned from my little air blowing adventure. Scientific studies that have found that wind is an effective repellent for mosquitoes. The reasoning is very simple: A strong air current will not allow these insects to circle around you and land on your body. This can be compared to an airplane that fails to make its landing when there is a local storm. However, it’s a lot more complicated than that. As discussed a lot of times on this blog, carbon dioxide is one of the leading attractants for mosquitoes. It’s what makes a female mosquito think you’re a delicious snack to extract blood from. The idea is that dispersing the CO2 will reduce the odds of mosquitoes landing on your body. But the question is if this alone will be enough to achieve some sort of success. Can A Fan Keep Mosquitoes Away? A simple household fan will be able to keep mosquitoes away locally. Following advice from the American Mosquito Control Association (AMCA), the weak flight of a mosquito allows a household fan to be an effective mosquito repellent. However, the AMCA marks it as a low-tech solution to keeping mosquitoes away. This advice would suggest that there certainly is some merit to this seemingly crazy household solution. So I set out to do some research. While I haven’t been able to kill some myself (it’s winter time while I write this story and most of the insects have gone into hibernation), I did find some evidence to support this claim. I see no reason why this honest Reddit user would falsely claim such a thing. The evidence seems to support his claim. So it must work! Table fans can be added to the long list of household solutions. But please be aware of the fact that this is a low-tech and probably not thát effective way to get the job done. Let’s find out if a ceiling fan will perform any better, assuming that it would work at all against mosquitoes. Will A Ceiling Fan Keep Mosquitoes Away? It’s found in a lot of American households: A ceiling fan. Since fans are able to disperse carbon dioxide in the air, using a ceiling fan is likely to help repel mosquitoes. However, it will be a low-tech solution that won’t exclude the possibility of a mosquito bite: It won’t keep mosquitoes away completely. Ceiling fans are usually placed further away from your body, which is the main target for a mosquito. It’s much more effective to simply place a standing household fan next to your bed, pointed towards your body (and especially your face). It’s one of those tricks that a ceiling fan is not exactly able to pull off. While the concept is similar, your breath will generally be too far away from the CO2 in it to be dispersed and diluted far enough. Furthermore, the movement of the air right next to the ceiling fan will be a lot stronger than that near your body, allowing a small portion of your bedroom to be used by those the blood-sucking monsters to bite you and extract your blood. Mission failed. Maybe you should try using a DIY mosquito trap that uses a stronger, more effective type of ventilation system. This way, you’ll be enjoying the cooling effect of the ventilation system all night long, while simultaneously being protected from people’s worst enemy: The mosquito. As we discussed, mosquitoes won’t come near areas that have lots of air movement. They prefer to be able to control their flight and not get sucking into the metal fan of death and destruction. If you know what I mean. Please do make sure that you do this on a super-warm summers day, because it’s very easy to get cold at night. Consider using a sleeping bag in order to retain your body heat overnight. During nap time, the body tends to cool down a lot more than you would expect. It’s, therefore, key to neither get too cold nor to overheat. Mosquitoes are attracted to CO2, air conditioning can disperse this. Again, the air current is not strong enough to disperse the CO2 effectively. This can only lead us to one conclusion: An household fan seems to work a lot better than some artificial cooling and drying of your indoor environment. However, if you wish to effectively kill or repel large amounts of insects in and around your house, you’re going to need something even stronger than that. A fan can work, but is not an optimal tool. So let’s find a better solution. You aren’t a fan of mosquitoes, or are you? Well? Are You A Fan Of Mosquitoes? Because I certainly am not. That’s why I dedicated this blog to finding the best anti-mosquito solutions, both indoors and outdoors. Maybe this is the solution you were looking for, although I highly doubt it will be a viable one for the entire time mosquitoes can roam around your local neighborhood. 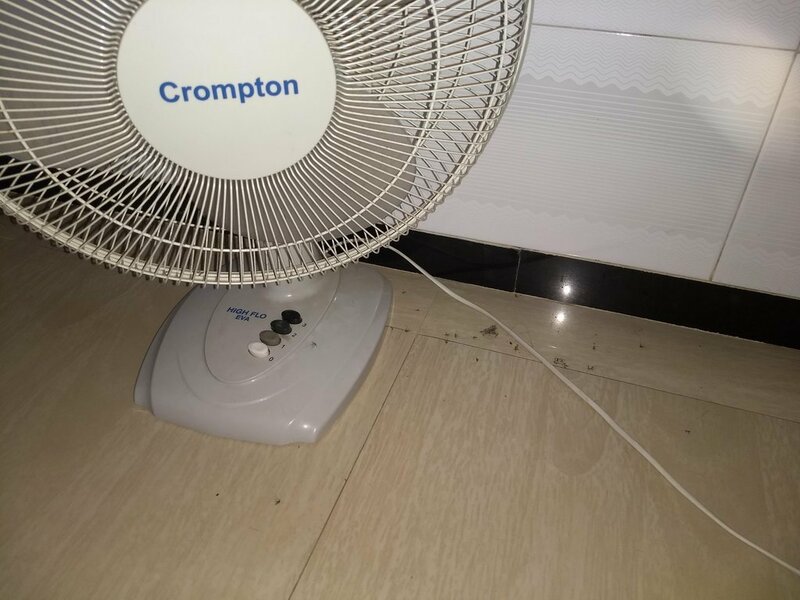 The thing with using a table fan or a ceiling fan for protection against insect bites, is that they will only work locally ánd on days that you actually want to use them. The days of extreme heat will be most suitable for this indoor solution, although there are a lot of good alternatives. A professional indoor mosquito trap will always outperform your DIY solution. I’ve had the best results with this Katchy indoor mosquito trap. But there are a lot more things you can find to improve your arsenal. I’ve compiled some of the best options in this overview page, where you can find some of the more common categories of anti-mosquito solutions. In each category, I have handpicked and tested the best ones for you, while also keeping in mind the overall cost of the solutions. That way you can be sure you won’t pay too much for them. Whatever you choose to battle those insects with, I highly recommend you to check out the overview page if you’d like to get rid of them once and for all. And as always: Stay safe out there and happy hunting!